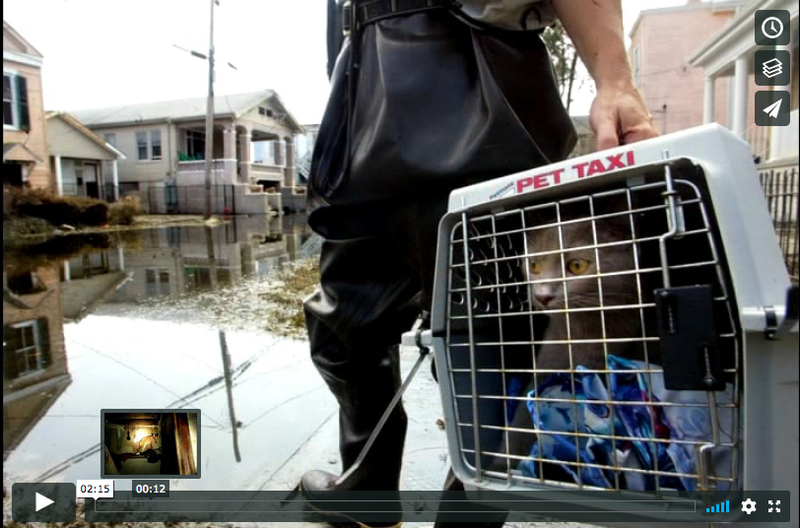 In the wake of Hurricane Katrina thousands of animals were abandoned in New Orleans by owners fleeing floodwaters caused by a break in the city’s levee. Compelled to help, a small group of people from Pasado’s Animal Rescue, based out of Sultan, WA. went to New Orleans determined to rescue as many animals as possible. They broke into houses, carried pets to safety through contaminated waters, and treated the injured. They cleaned cages and sheltered animals turned away by the LASPCA. More than a thousand animals facing certain death were saved through their efforts.